Via two AVs, Immunent (Clam powered) reporting Ratenjay backdoor. Cylance however is an artificial intelligence based analyiser and does not say what reason it suspects malicious intent but that didn't like it either. I'm pretty sure that's a false positive. EDIT 1: One or two of them do seem to detect something on the file but most don't. Will continue digging. EDIT 2: Those 2 positives only happen on the windows installer and on the portable client. The one things these clients have in common that the other clients don't have is that they have a Windows Java Runtime Environment packed in. 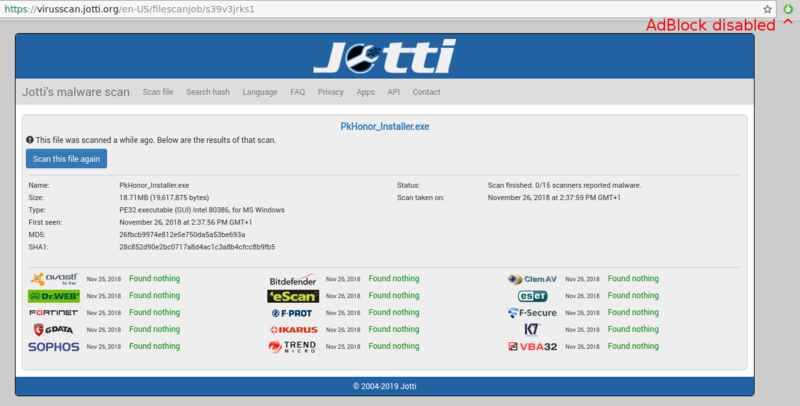 Best guess: those 2 virus scanners are mistakenly identifying the core Java files as a virus. Maybe you should run a virus scan of your own. Rapsey wrote: Maybe you should run a virus scan of your own. You "just made sure" did ya. With superpowers like those I wouldn't worry about your future IT career. It's more or less being consistent not downloading much on my phone and running a few scans every now and then. Such IT, many wows. Guess I'll take a lengthy hiatus now that I've done something IT related and bamboozle everyone when I'm coming with stuff promised a couple of years ago. How did that overruling after years of disconnect with the community work out btw? Heard he saw the light and cashed out. That's pretty obvious from the way you've been posting lately.